2018 was prosperous for the Division’s research program. In FY2018, our investigators received an excess of $10M in external awards. We have internationally recognized research programs in the areas of diabetes pathogenesis and complications, diabetes technology and artificial pancreas, endocrine hypertension, and neuroendocrinology/polycystic ovary disease. In FY18, we had three strategic hiring initiative recruits joined the division. They brought in various expertise that are complementary to our existing programs. Please join us in welcoming them to UVA! Dr. Rita Basu’s research interests include investigating the various mechanisms responsible for abnormal glucose metabolism in individuals with diabetes and pre-diabetes. 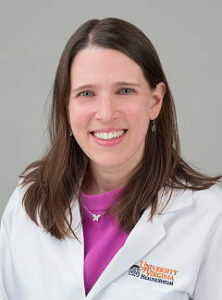 She is interested in the reasons for higher fasting and post-meal glucose concentrations in people with impaired fasting glucose and type 2 diabetes. She is also looking at the mechanisms by which cortisol plays a role in carbohydrate metabolism. Recent studies that her team conducted have shown that the splanchnic bed makes cortisol in humans via the enzyme 11betahydroxysteroid dehydrogenase type 1, and now she is looking at what modulates splanchnic and whole-body cortisol production. Is it mediated by the pituitary-hypothalamic axis or by degree of visceral adiposity, and does nutrient ingestion and/or incretins/insulin modulate this process? 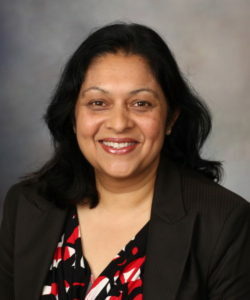 Dr. Ananda Basu’s research is currently directed at developing physiological models to inform, fine tune and eventually personalize an effective closed-loop control artificial pancreas system for patients with type 1 diabetes using cutting-edge insulin pump and glucose sensor technologies. These models are designed to assess the effect of sizes of meals, ranges of physical movement that span all activities of daily living, exercise, sleep, menstruation and pregnancy (among others) as they modulate insulin action and glucose variability. Such information is critical to refine and personalize control algorithms that will then be applied to individualize artificial pancreas systems. Furthermore, he has developed innovative methods to measure pancreatic alpha cell function and glucagon kinetics in humans. This will further enable a better understanding of glucagon physiology in health and in diabetes. Dr. Ferris’s research focuses on the interaction between diabetes and cognitive decline. Particular focuses of the lab include investigating how insulin regulates cholesterol synthesis in the different cell types of the brain and how this impacts brain energetics and function, the potential role of oxidized cholesterol species as signaling molecules in the brain in diabetes and Alzheimer’s disease, and the role of insulin in the pathogenesis of Alzheimer’s disease. 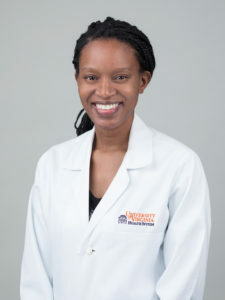 Dr. Heather Ferris and endocrine fellow, Dr. Charity Kwamanakweenda have launched an initiative, in collaboration with the Telemedicine department, to improve diabetes care throughout Virginia. 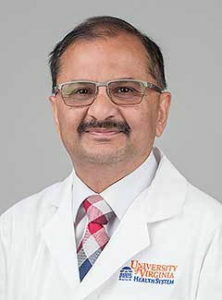 Modeled after a program first started at the University of New Mexico called Project Echo, primary care providers can participate via video-conferencing in diabetes focused didactic sessions and case discussions led by faculty in the endocrine division. The program engages primary care providers in current diabetes best practices, through didactics and case discussions, in much the same way that we train our own endocrine fellows, thereby increasing their comfort managing complex diabetes cases. By increasing local competency in diabetes management the program aims to improve access to quality care for the skyrocketing number of diabetes patients in the state. For more information on Project Echo, contact Dr. Ferris. Dr. Ferris was also highlighted in an article at BBC.com recently, ‘Is Juicing Actually Good For You’. Congratulations!